"‘우리 한국인은 영어라는 언어를 어떤 과정, 어떤 방법, 어떤 목표를 가지고 어떻게 배워서 결국 어느 정도의 수준에 도달하게 되는가?’라는 물음에 가능한 한 독자가 쉽게 접근할 수 있으면서도 영어습득과 관련된 자신의 가정(假定)이나 원리 혹은 관점들을 반성하고 재고해 볼 수 있도록 함축적인 문체로 풀어내면서, 다시 이러한 단상들에 담긴 주장이나 이론적 지향을 바로 이해할 수 있도록 다양하고 생생한 사례들을 일화적 스케치의 형태로 각 단상의 말미에 제공했다. 본서는 영어습득의 본질은 물론이고 전인적이고도 총체적인 수용을 통해 습득한 영어를 새로운 세계 인식과 자아인식의 범위로까지 확대․승화시킬 수 있어야만 최고의 습득이 이루어질 수 있다고 본다. 영어습득에 관한 이론을 전달하면서도 재미라는 측면을 배제하지 않음으로써 달콤함과 유익함을 동시에 주고자 하는 것이 본서의 궁극적 목적이며 이런 점에서 딱딱할 수도 있는 영어습득 이론을 대중적 이슈로 공론화하는 데 기여하였다고 자부한다. When dealing with such topic as acquiring English, academic writings are often inclined too much on the theoretical side, while popular books mostly focus on much too personal experiences, resulting in the readers’ blurring accurate judgment on the matter concerned. This book is an attempt to bridge the gap between the two extremes. 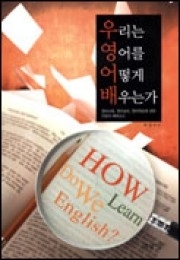 More precisely, the book is a final accumulate result of the author's years of scholarly attempts and reattempts to properly answer the question: “In what process, methodology, and goal-setting, namely, how do we Koreans learn English so as to reach a certain level of proficiency?” Groping for an answer to each subtopic, a fragmentary thought is provided under each rubric in ways that the readers can approach its theoretical intentions as easily as possible with the help of the lush, varied, and palpable episodical sketches strategically deployed at the end of each fragmentary discussion. The content of this book consists of thirty such units and consummates a mosaic picture, which will hopefully address the complex nature of English acquisition on the part of Korean speakers that might be summed up as “English should best be learned in a lively natural setting replete with authentic input by a learner with a strong integrative motivation to survive and get assimilated into the target society who most willingly interacts with the real world outside or inside the classroom.” In a nutshell, the truly successful learning for Korean learners mandates a total, holistic commitment that necessitates a cognitive, perceptual, and emotional involvement. 24. 자본주의와 영어: 영어는 정말 경쟁력인가?